The Moona Pillow the smart way to fall asleep. The creators of the Moona know that temperature plays a huge part of our sleep. They aim to regulate that temperature through our pillows. Read our Moona Pillow Review as we study this new pillow technology. The Moona pillow is a very simple concept that could have impressive results. They use a device to pump temperature regulated water through a pad in your pillow. 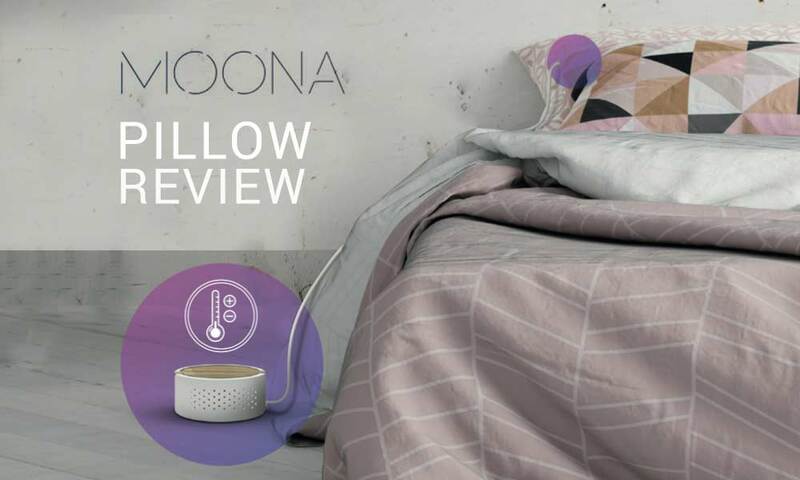 The Moona monitors your sleep in real time, adjusting the temperature of the water. If the sleeper is about to wake too soon, the Moona will lower the water temperature to lull the sleeper back into REM. Will the Moona give you a better sleep? This is going to be the biggest question for everyone looking at smart sleep technology. Smarter sleep is one of the most significant changes coming to the bedding industry. Products like the Moona claim to monitor and adjust your sleep to ensure a restful night. The monitoring technology is already available. It has been around for a few years. Apps such as Sleep Cycle monitor your sleep and wake you up out of a REM cycle. It was just the first step towards what would eventually be Smart Sleep technology. The first company that took it the step further was Eight Sleep. 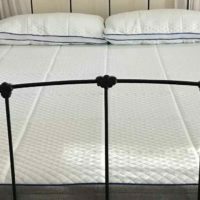 The Eight Sleep Smart Mattress cover had a built in heater. It monitored the sleeper, adjusting the temperature of the bed. The only flaw of the Eight Sleep was the inability to cool the sleeper down. Most of the mattresses we have reviewed always end up running a little warm. The Moona Pillow aims to solve this problem by using water as their medium. Controlling water temperature gives Moona the ability to heat and cool the sleeper through the night. Capacity to cool the sleeper gives the Moona a big leg up over the Eight Sleep Mattress cover. But does the Moona actually give a better sleep? It’s still too early to tell. The Moona is another big step forward in the intelligent sleep technology market. Customers looking for the ultimate smart house should check out the Moona Pillow. The Moona can heat or cool sleepers. Let the Moona Pillow give you more refreshing night sleep. The Moona Pillow will be available for customers in April for a discounted $149.00. Sign up early or check back to TopDown Reviews to see if we have gotten any Moona Coupon Codes. The Moona is constructed of two different sections. The Pillow itself will have the sleep sensor and water pad. The pump and water temperature regulator will be at the side of your bed. A pillow that contains the Sleep Sensor and Water Pad. As the sensor watches your sleep patterns, water moves through the pad. The pump sits next to the bed, adjusting the water temperature in real time. It then pumps the water to the pad next to your head as you sleep. The Moona is not released yet, but we have a good estimate for the price. 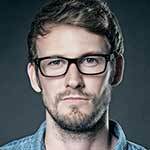 Initial buyers should look to pay around $149.00. The retail price of the Moona will be closer to $249.00. Let us know what it cost you in the comments section of our Moona Pillow review. The Moona Pillow is a new player in the Smart Sleep industry. Their pillow uses water temperature to adjust your sleep through the night. The concept of the Moona works in principle, but it has yet to be thoroughly tested.